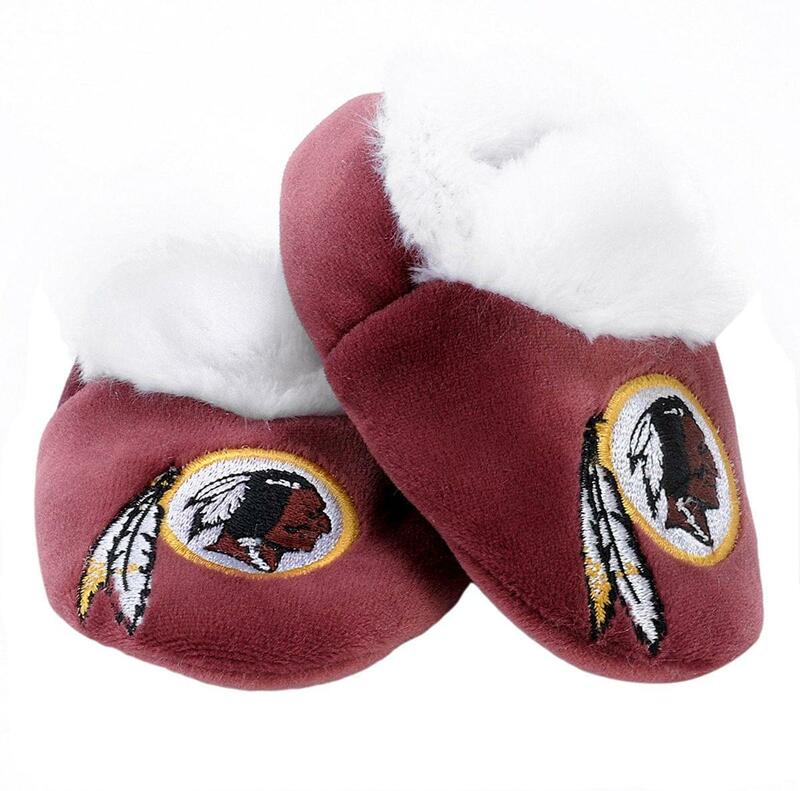 Fuzzy, warm and comfortable, these NFL Baby Bootie Slippers provide a great first step toward being a big time football fan! Made of 80% Polyester fiber/ 20% Plastic for durability and comfort, these team colored slippers feature the team logo on top. Conveniently packaged in a gift box.